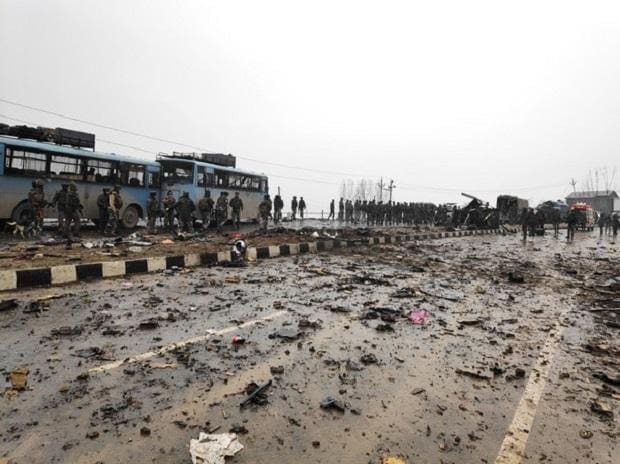 UN Secretary General Antonio Guterres Tuesday called on India and Pakistan to take "immediate steps" to de-escalate tensions between the two nations following the Pulwama terror attack, reiterating that his good offices are available if both sides ask. The already sour relations between India and Pakistan have worsened over the past week as New Delhi blamed Islamabad for the Pulwama attack by Pakistan-based terror group Jaish-e-Mohammed in which 40 CRPF personnel were killed. Both countries have called back their envoys for "consultations." The Secretary General stresses the importance for both sides to exercise maximum restraint and take immediate steps to de-escalation, and his good offices are always available should both sides ask, the UN chief's spokesperson Stephane Dujarric told reporters here Tuesday at the daily press briefing. Dujarric was asked about a meeting Pakistan's Permanent Mission to the UN has sought with the Secretary General and about Pakistani Foreign Minister Shah Mahmood Qureshi saying the UN must step in to diffuse tensions between the nations. "Looking at the situation in general between India and Pakistan, we are deeply concerned at the increasing tensions between the two countries in the wake of the attack on Indian security personnel on February 14 in Pulwama, Dujrraic said. He said Pakistan's mission at the UN requested for the meeting with the Secretary General. In a separate issue, Dujjaric said that in response to questions on a recent incident involving the UN Military Observer Group in India and Pakistan, known as UNMOGIP, the observer group reported on February 16 that a UN vehicle in the city of Jammu was surrounded by a group of protesters who placed a Pakistan flag in front of the vehicle. The vehicle attempted to bypass the flag but was unable to do so. The Mission has informed both Indian and Pakistani authorities of this regrettable and unavoidable circumstances of the incident. The Mission also requested India to provide additional escorts and will be conducting an investigation, he said.